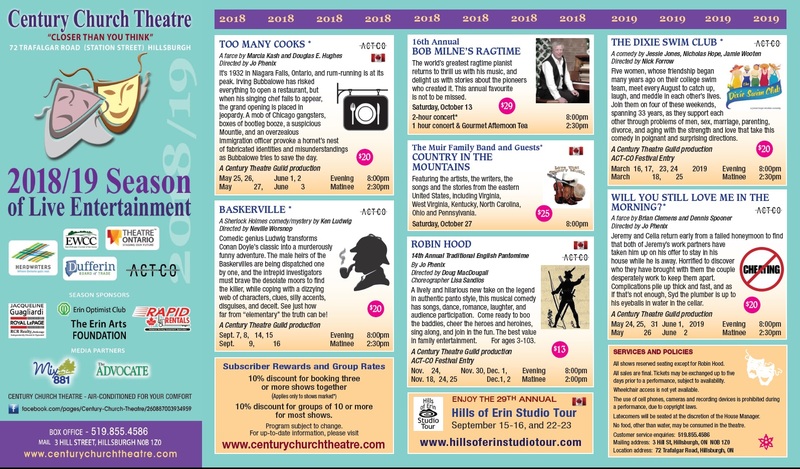 Century Church Theatre is located at 72 Trafalgar Road N., (formerly Main Street) and Station Street in Hillsburgh, Ontario. Business hours: 9 AM to 9 PM, 7 days a week. We never close.